Riyadh (AFP) - King Salman doubled Saudi Arabia's Yemen aid commitment to $540 million on Wednesday, the first day of a humanitarian pause in a bombing campaign it has led against neighbouring rebels. "We announce that we are setting aside one billion riyals ($266 million) for aid and humanitarian operations... in addition to more than one billion riyals ($274 million) we had already pledged," the official Saudi Press Agency quoted the king as saying. On April 18, the kingdom announced it would fund the entire $274 million sought by the United Nations in an appeal for emergency assistance to help victims of the war in Yemen. The UN said the money would "meet the life-saving and protection needs of 7.5 million people affected" by a deepening humanitarian crisis in Yemen. "Projects and partners have been identified for implementation of the grant but money has not been disbursed yet, so it is still a pledge," Jens Laerke, spokesman for the UN humanitarian agency OCHA, said on Tuesday. Before the five-day ceasefire took effect at 2000 GMT on Tuesday, a Saudi-led coalition had carried out nearly seven weeks of air strikes against Iran-backed rebels and their allies who control much of Yemen. Civilians have been struggling to access health care, water, food and fuel during the war which the UN says has killed more than 1,500 people. UN agencies have prepared for a massive aid operation during the five-day humanitarian pause. Distribution began on Wednesday of fuel whose scarcity had halted aid deliveries, officials said. Salman made the pledge while symbolically laying the foundation stone of a facility in Riyadh which he said "will be a leading international centre to help relieve communities that suffer from disasters". It will work in coordination with "internationally approved relief organisations" and will pay particular attention to the humanitarian needs of Yemen, he said. 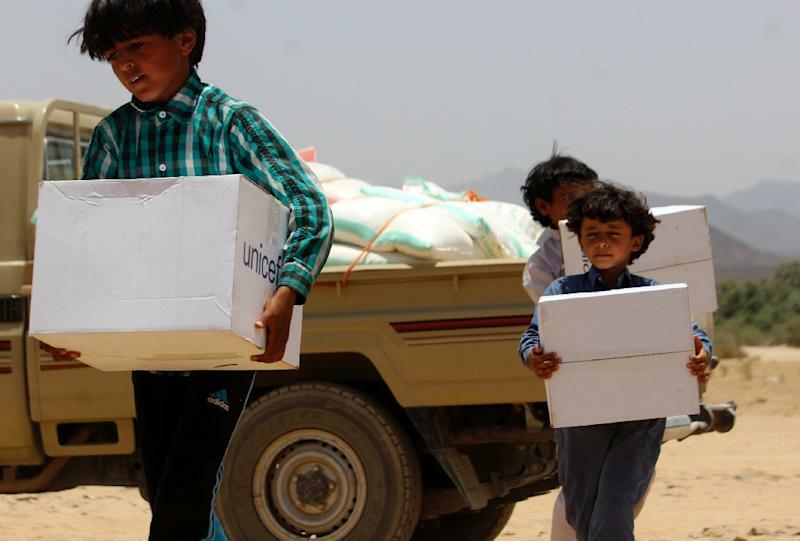 Asked about a Saudi bid to coordinate aid, Laerke said the UN's emergency relief coordinator supervises international relief "and we're very happy that the Saudis and any other parties who want to provide aid coordinate through that mechanism."